POLITICAL TIDBITS: Wranglings in Senate over unequal “X’mas gifts” demoralizing to gov't clerks ordered to return bonuses. Huge committee outlays make for “more fun” in Senate, but hurting to citizens mired in poverty. CA Justice Veloso says Court in “real bind” over Gwen’s urgent TRO plea. Wranglings in Senate over unequal “X’mas gifts” demoralizing to gov't clerks ordered to return bonuses. Huge committee outlays make for “more fun” in Senate, but hurting to citizens mired in poverty. CA Justice Veloso says Court in “real bind” over Gwen’s urgent TRO plea. The big fight in the Senate between Senate President Juan Ponce Enrile and the four senators whom he discriminated against in his Christmas gift-giving is obviously all about pera-pera lang. JPE gave only P250,000 each to Senators Miriam Santiago, Alan Peter and Pia Cayetano and Antonio Trillanes, with whom he has had differences in past weeks. On the other hand, he gave to the other 18 senators who didn't give him much trouble not only the same P250,000 check each from his office's savings, he also gave them P1.6 million each from the chamber's savings (a first tranche of P600, 000 in November, and the other P1 million before the Christmas break) supposedly as "additional MOOE entitlements." Interestingly, the four non-favorites also got the P600,000 first tranche, but apparently trouble for JPE started when he failed to release to them the second tranche. Sen. Miriam raised hell and divulged to media the discrepancy between those received by JPE’s “friends” and those outside the kulambo, but COA upheld his authority to dispense those savings as he saw fit. These pera-pera issues further strained relations among the already disputing senators---part of the continuing tragic-comedy in Congress. But to the ordinary citizens it’s not funny---for with the open quarrel over Senate funds emerged the picture---though doubtless incomplete---about how staggering are the funds our legislators generously partake of from the Senate’s estimated P2 billion annual budget. From all appearances, the practice of huge windfalls for the legislators at the close of each year from the Senate Chief had been going on in various leaderships. 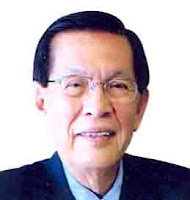 As JPE put it, why didn’t the current complainers who are upset over his P1.6 million entitlements to the 18 others object in December 2011, 2010, 2009 and 2008 (when he first assumed the leadership of the Senate)? Good question. The funds that senators derive from chairing committees emerged to boggle the mind. As Sen. Miriam stated in a broadsheet, aside from their annual pork barrel of P200 million, senators each receive P2.2 million monthly for staff salaries and office expenses, half a million pesos annual travel allowance and an honorarium ranging from P30, 000 to P60, 000 a month for chairing a Senate committee (committee chairmanships have annual budgets of reportedly anywhere from P10 million to P15 million each). With the exception of Sen. Joker Arroyo who, said JPE, has consistently refused to chair a committee, whether regular or oversight, all the senators get to chair at least one each, and many chair several. For instance, as JPE was quoted in a newspaper, Minority Leader Alan Peter Cayetano, being an officer of the Senate, has a far bigger budget than the other senators. In addition, he enjoys a budget as a member of the Commission on Appointments, as chair of the E-Commerce Oversight committee with an annual budget of P6 million, and as new oversight committee chair of BCDA, which, said JPE, the senator himself requested to be created with an annual budget of P10 million. His sister Sen. Pia, said JPE, is not far behind inthe largesse, and neither has Miriam, supposedly a minority member, any ground to complain about majority entitlements. But it’s not only the senators who enjoy the perks. An insider noted to me that the Senate rank and file employees are very happy each year-end. Last 2011, for instance, they all received P40,000 each from the Senate as Christmas package, and from what I gather, it was bigger last year. In the House of Representatives reports say the 286 solons were each gifted by Speaker Feliciano Belmonte with P500,000, for a staggering P143 million for the whole chamber. Reports said this half a million peso-gift could be used for additional bonuses of each solon’s employees, but who’s going to check that? Let's not forget that during the RH bill deliberations, a news item in a broadsheet in early December quoted ACT party-list Rep. Antonio Tinio as alleging that each House solon was being bribed with a package totaling about P280 million, in exchange for his/her pro-RH vote. Each package allegedly contained the regular pork barrel per solon of P70 million, plus PW projects, proceeds of the road user’s tax, and a P97,000 gift bonus from the Speaker representing one month’s salary. That story was never denied by Tinio (so the pro-RH bloc that passed this law cannot hold their heads high---nabili pala ang kanilang mga boto), but it gave us an idea of just how much funds were being talked about then. All these mind-boggling figures that line solons’ pockets are regarded by the citizenry as unconscionable extravagances, when there’s so much poverty around and budgets of government hospitals and state universities and colleges are being drastically cut. The open wranglings over “gifts” in the Senate also came after ordinary government employees saw their annual Christmas bonuses cut by the fund-starved government last year. Last Friday a front-page story spoke of how government clerks in various offices are being ordered to return bonuses they had received in the past. Let's also not forget that majority of those displaced by typhoon Pablo in Compostela Valley still live in tents and do not know where their next meal would be coming from. Moreover, the banana industry in that area needs P8 billion to resuscitate. The fabled largesse enjoyed by Congress is heart-breaking, to say the least. At last Friday’s hearing of the Court of Appeals' 12th Division, headed by Associate Justice Vicente Veloso, which took up the urgent petition for 60-dayTRO filed by suspended Cebu Gov. Gwen Garcia, the latter was ably represented by a battery of young lawyers led by Atty. Tranquil Salvador, former spokesperson for the Corona panel in the Senate impeachment trial. Gov. Gwen’s daughter, Atty. Christina Garcia-Frasco filed an affidavit stating facts on her embattled mother's case. Ateneo-trained Justice Veloso sought to impress upon the lawyers and the crowd how tough it is for the CA to find a balance between its rules principally on procedure, as laid down by the Supreme Court, and a petitioner's right to speedy trial as enshrined in the Constitution’s Bill of Rights. “The Court is really caught in a bind here,” he kept saying. Veloso took refuge in the “very restrictive” nature of the CA’s Rule 43, which lawyer Salvador invoked in pleading for TRO. The justice stressed that under Rule 43, a TRO could be granted only if there was “irreparable damage” to the accused and he kept asking Salvador just what “irreparable damage” Garcia has undergone when after all, she could get back her lost salaries. At that point, I asked myself, is this Justice serious? Salvador replied that Garcia’s reputation was besmirched by all the accusations against her and her desire to continue serving her mandate from the Cebuanos was being impaired. But the Justice did not seem impressed. Of course everyone knows that the biggest harm to Garcia was that she was ousted six months before the May 2013 elections in order to cripple her family’s pre-eminence in Cebu politics and strengthen the LP line-up led by gubernatorial candidate Hilario Davide III, whom Gwen had trounced in 2010. It seemed that Veloso was baiting Tranquil Salvador to spell out this biggest damage to Gwen, and the lawyer must have been tempted to do this. But of course he desisted, as these things are not said in open court. He only managed to put in a one-liner that “there is a political color to all this,” but that was a mouthful. I could sense Veloso was trying to impress on his listeners the tremendous pressures he and his colleagues felt, especially since it was the President who suspended Garcia (the DILG only implemented his order). Moreover, the morning the CA hearing opened P-Noy was quoted stressing how "solid" the case is against her. P-Noy, however, shouldn't have weighed in on this case at that point; instead he should have shown more respect for the independence of the judiciary. It reminded me of how he also kept publicly badgering the senators conducting the trial of CJ Renato Corona in the first half of last year, about CJ's "guilt." I am normally an optimistic person, but I must confess that I’m not too hopeful about the CA’s grant of a TRO for Gwen. One reason was that yesterday a newspaper carried a story quoting P-Noy as saying he would just let Gwen Garcia be---i.e., leave her to continue camping out in the Provincial Capitol---as anyway acting Gov. Agnes Magpale is already conducting services for the Cebuanos. I interpret P-Noy’s change of attitude from the outright ouster of Gwen by the police in earlier days of her stake-out, to mean that P-Noy anticipates the CA’s prolonging the deliberations and ignoring her urgent plea for TRO. Let’s pray that the CA justices would not be intimidated, but instead rule for what is right and just. What can I say but PNoy is brat boy. If he wants something, he will keep on badgering and badgering and badgering until he get what he wants. He doesn't care about the independence of Legislature and the Judiciary. He doesn't care even if he destroys the whole country just so get what he wanted. I am not too hopeful for the case of Gov. Gwen. This president manages to destroy the credibility of Legislature during the RH Bill issue. The CA is a more little piece than the Congress and Senate. PNoy can easily crush their opposition to his iron hand. What I do hope is for the Cebuanos to show PNoy that they don't want his machinations. They can do that in the coming elections. But there is that Hocus PCOS, Sigh.